About to start a new fabrication project? Special Metals is here to help. 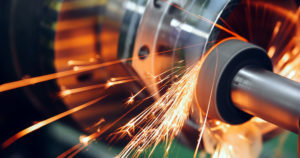 We’re a metal fabrication company standing at the very forefront of the industry and, whatever your specific fabrication needs or requirements, our team of experts are on hand and ready to create the ideal metal part for you. We’re all about “value-added” processes, here at Special Metals – which is why we offer our customers a comprehensive metal fabrication service. The team are highly skilled in this area. They can take a raw material and transform it into a high-quality metal part, of any shape or size. Both standard and non-standard components are available and these can be made from a wide range of refractory metals – including Molybdenum, Tungsten, Tantalum, Zirconium, Titanium, and Niobium. A number of specialist techniques are used to create the desired product and, over the years, we have fabricated parts for a broad spectrum of different industries and applications. Why choose Special Metals for your fabrication project? When selecting a metal fabrication company for your project, there are certain things you should look out for (e.g. reliability, experience, quality) – and it’s fair to say, Special Metals ticks all the right boxes. Collectively, our team have worked in the special metals industry for over 120 years. Their knowledge and experience of metal fabrication are unrivalled and they have a proven track record for pushing the boundaries and creating a metal part that is perfect for the customer’s individual needs. All our metal parts are made in-house, using cutting-edge machining equipment. We like to keep up-to-date with the latest technology and continuously invest in our facilities, to make sure customers get the best possible fabrication service. We also thoroughly assess products before they leave the site – and this is how we have gained our excellent reputation for both high-quality and value for money. Unlike many of our competitors, we have no minimum order levels and we’re always happy to provide a ‘no obligation’ quote – no matter how big or small your metal fabrication project might be. So why not get in touch? Either call us on 01268 820409 or send an email to sales@special-metals.co.uk and we will respond to your enquiry as soon as possible.